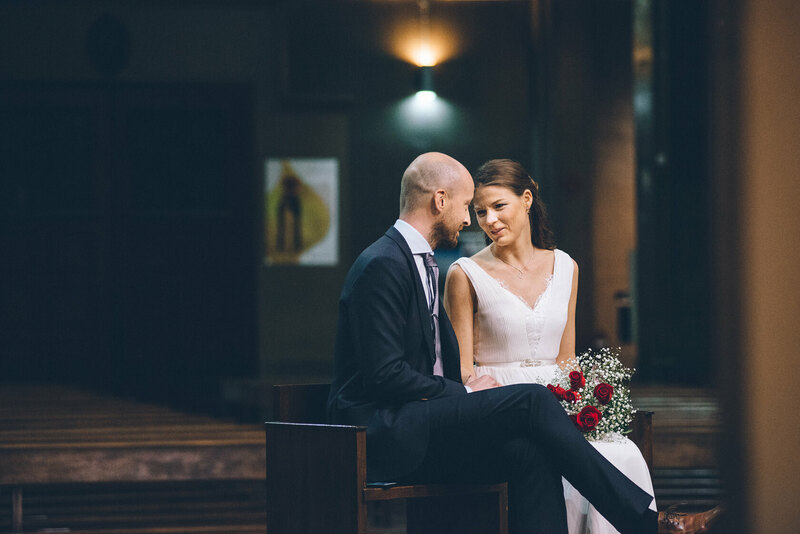 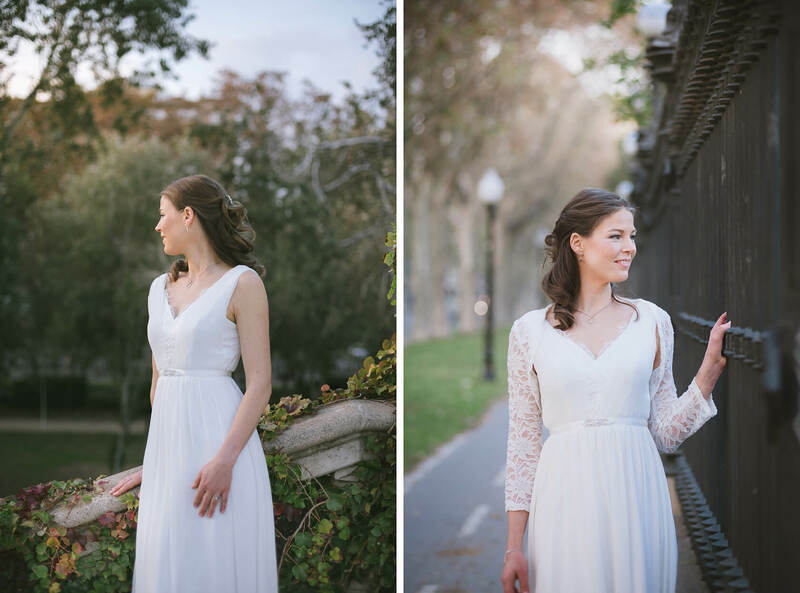 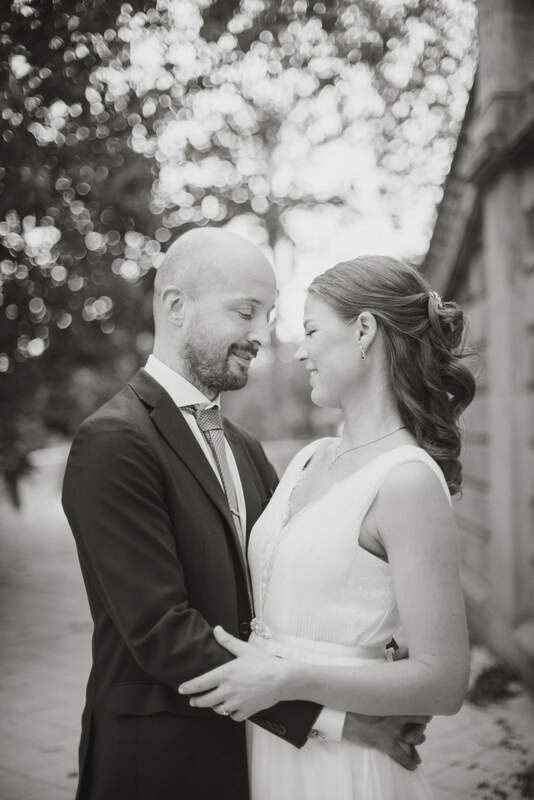 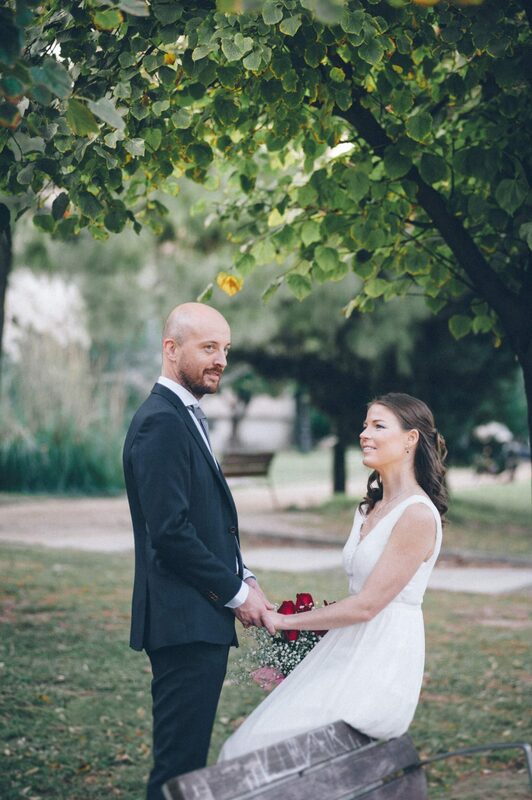 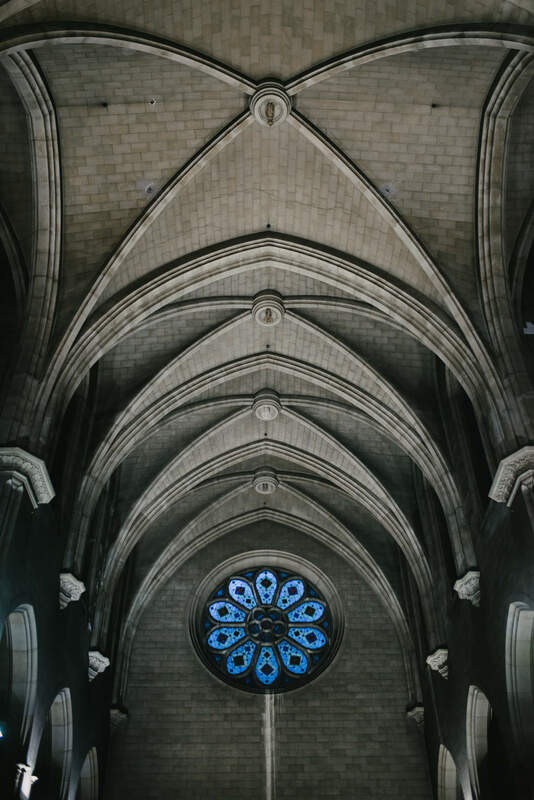 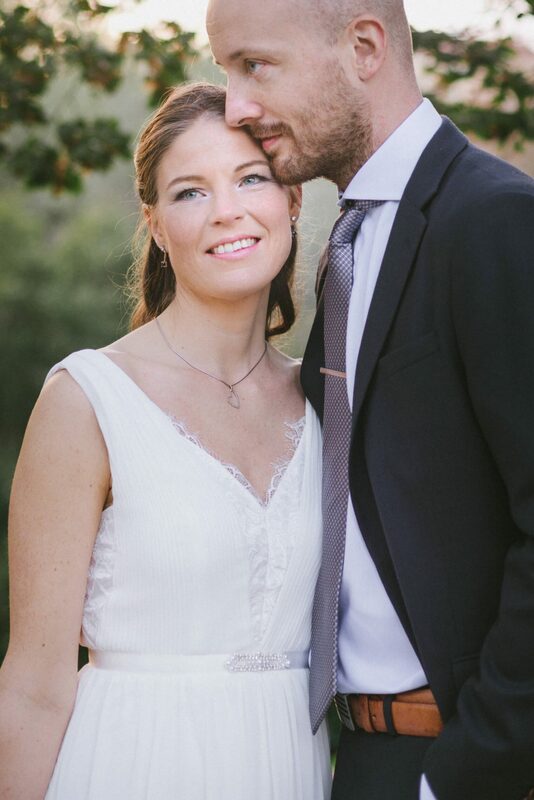 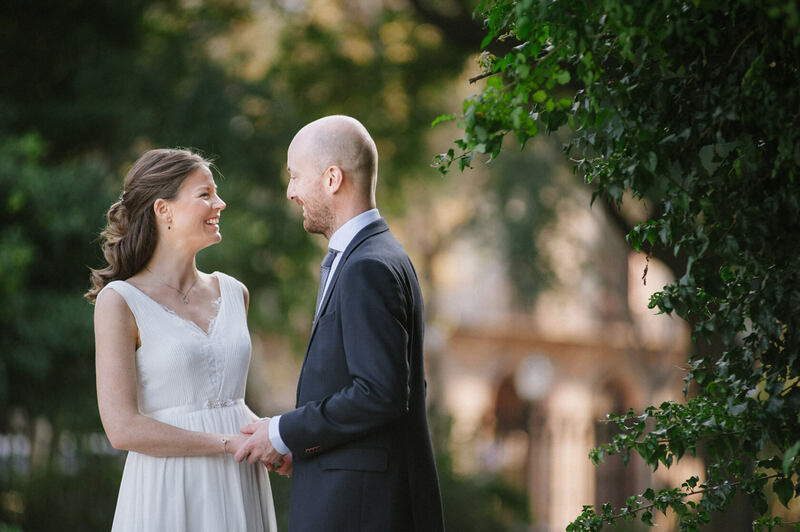 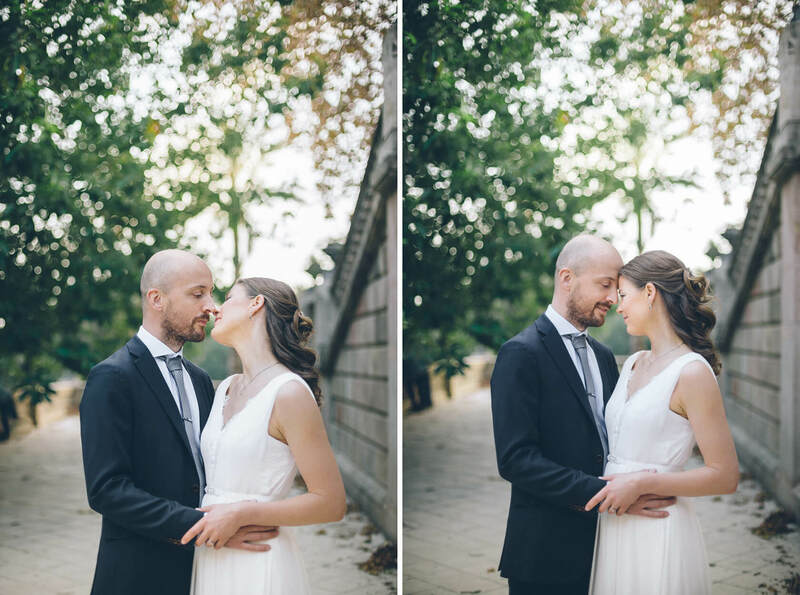 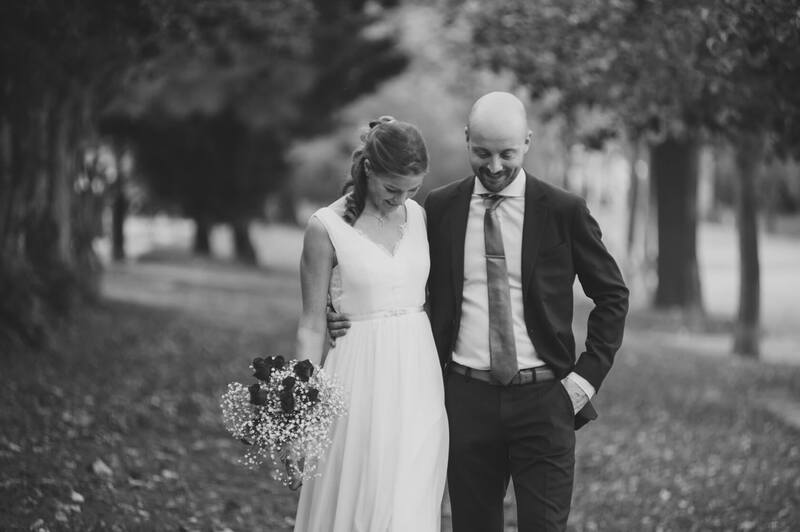 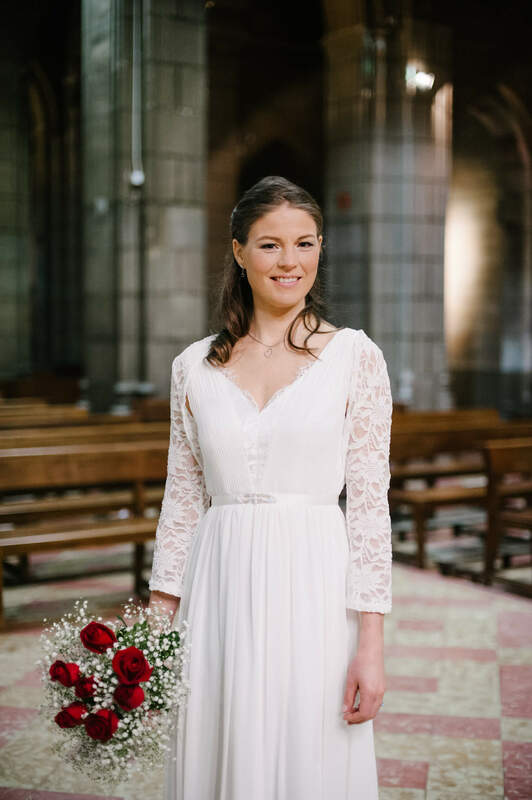 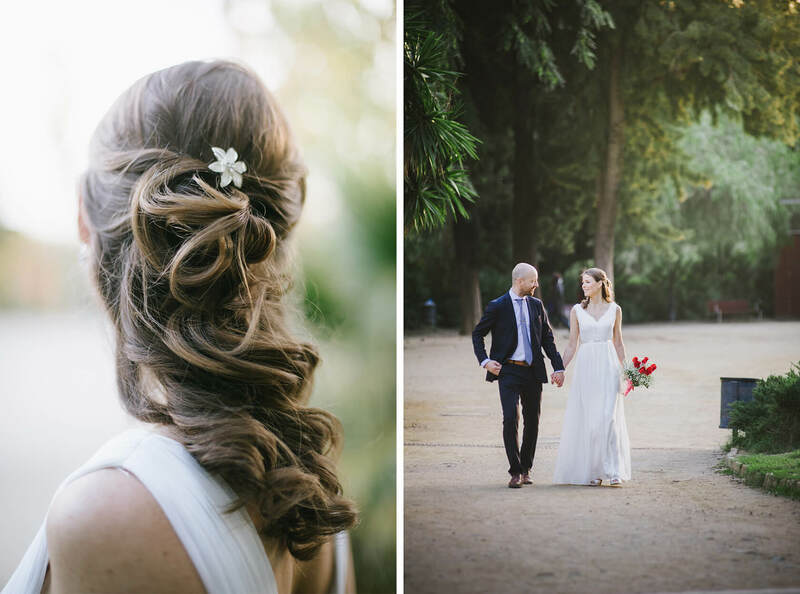 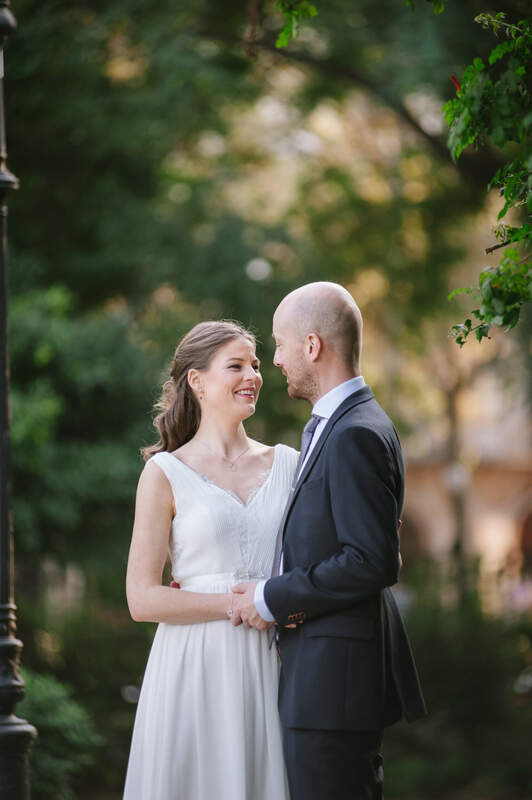 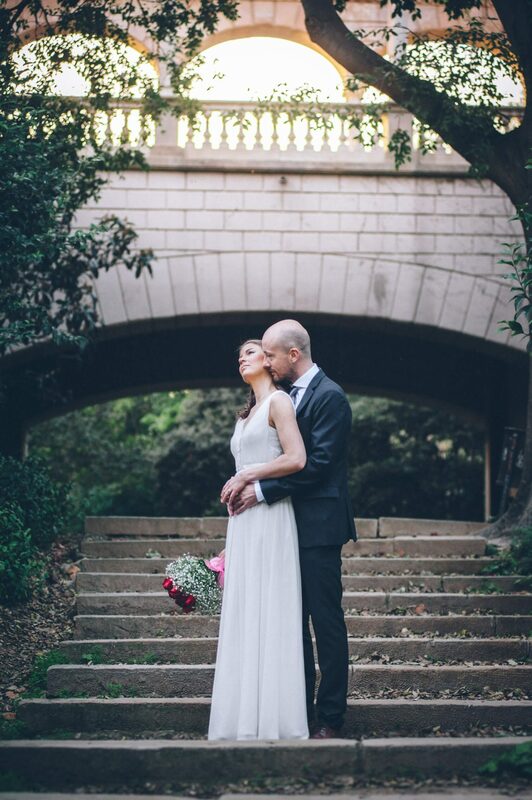 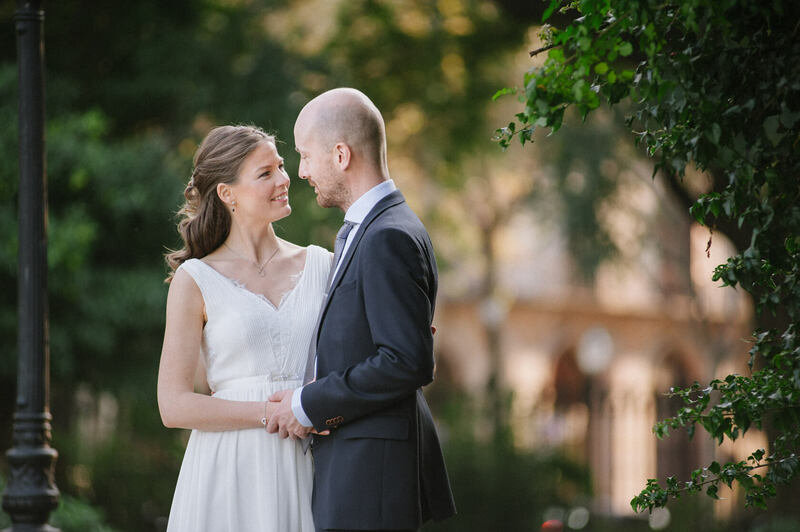 Cathrine and Andreas decided to get married in Barcelona in a very special manner, all the way from Norway. 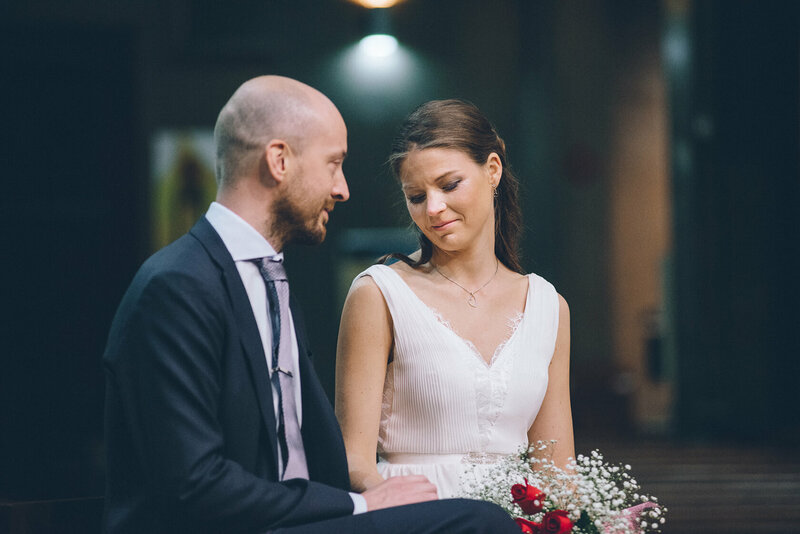 Like all Norwegians, the nicest people on earth. 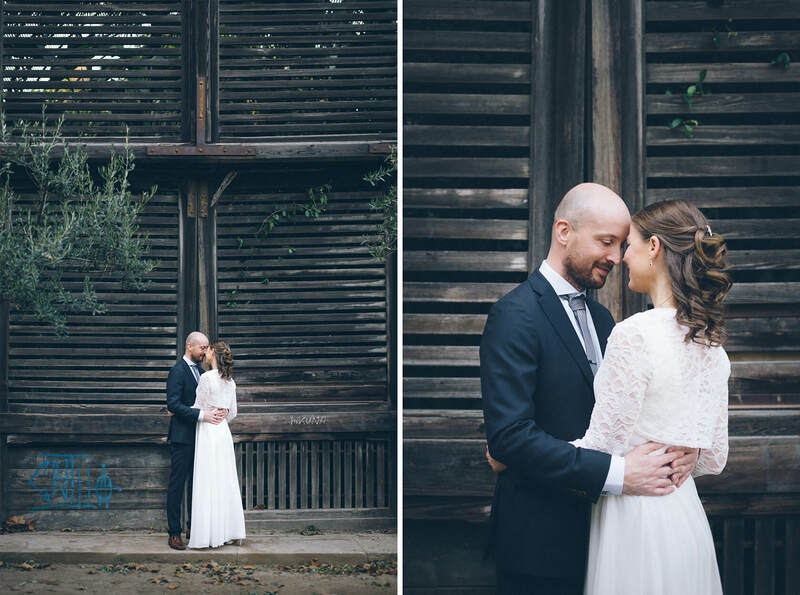 We connected right from the beginning and the photo session was relaxed and laid back. 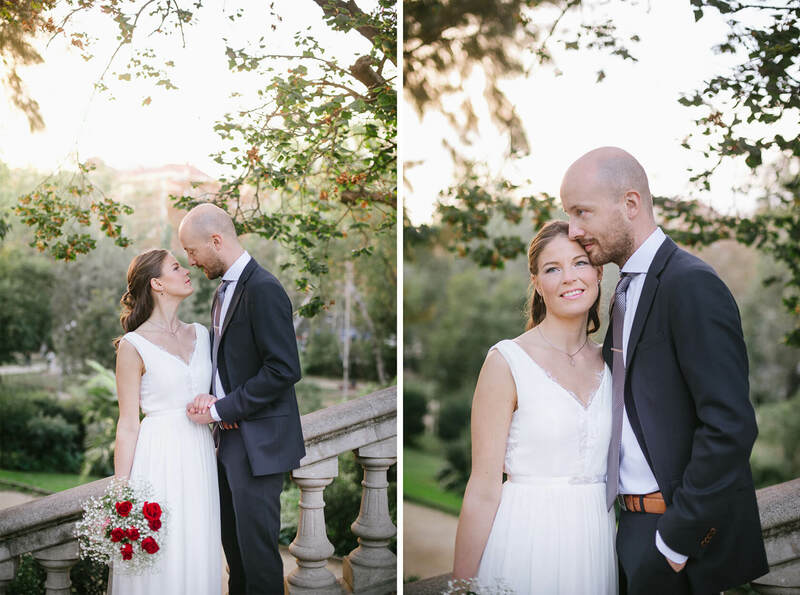 It was a great thing that they picked a wedding photographer in Barcelona and that happened to be Fotografia Sitges. 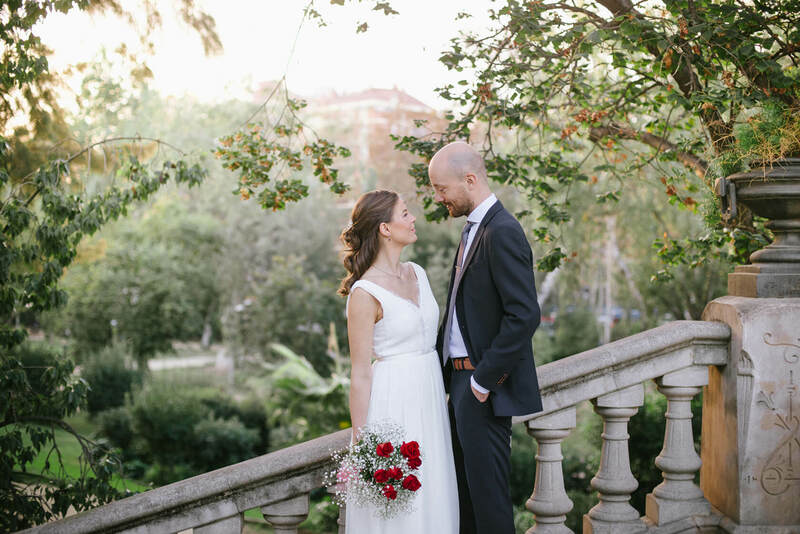 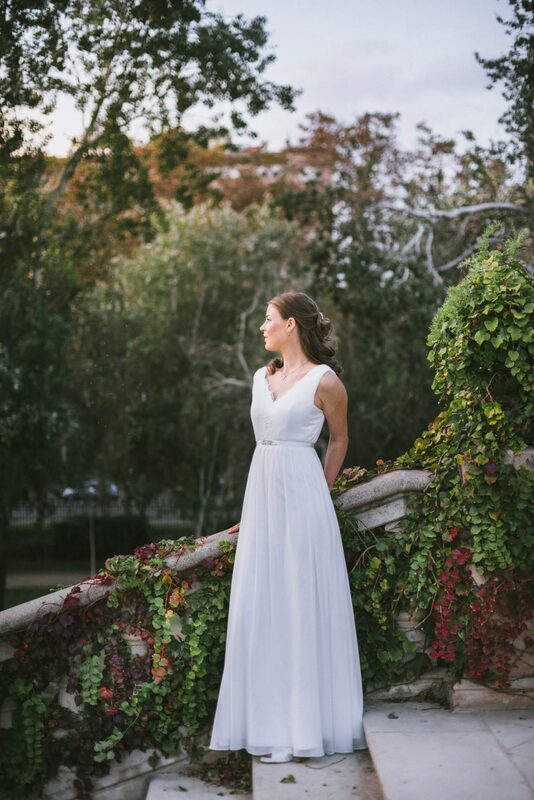 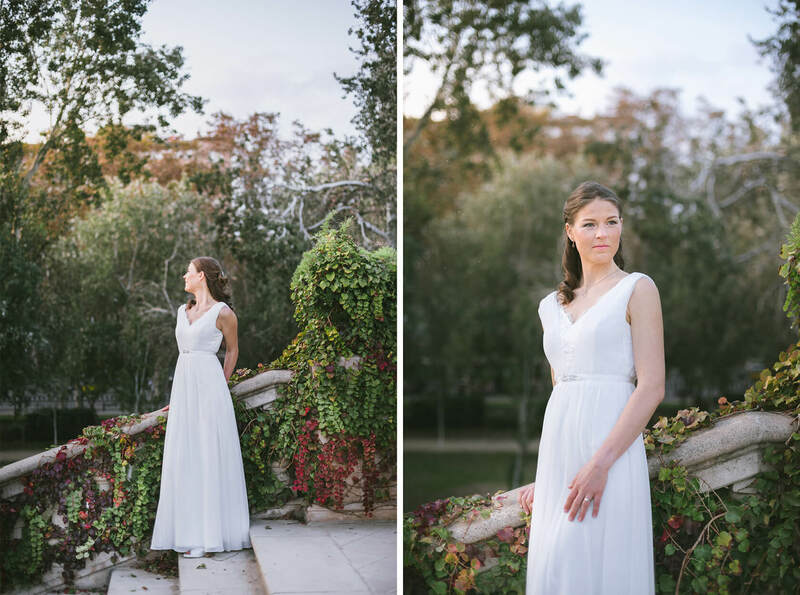 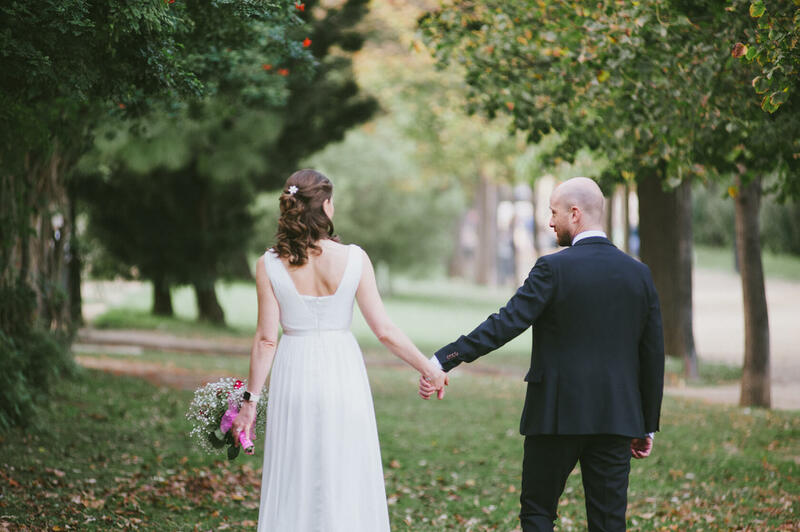 This was our last wedding of the year in mid November and you could see the brown and golden leaves starting to appear in the trees at Ciutadella Park. 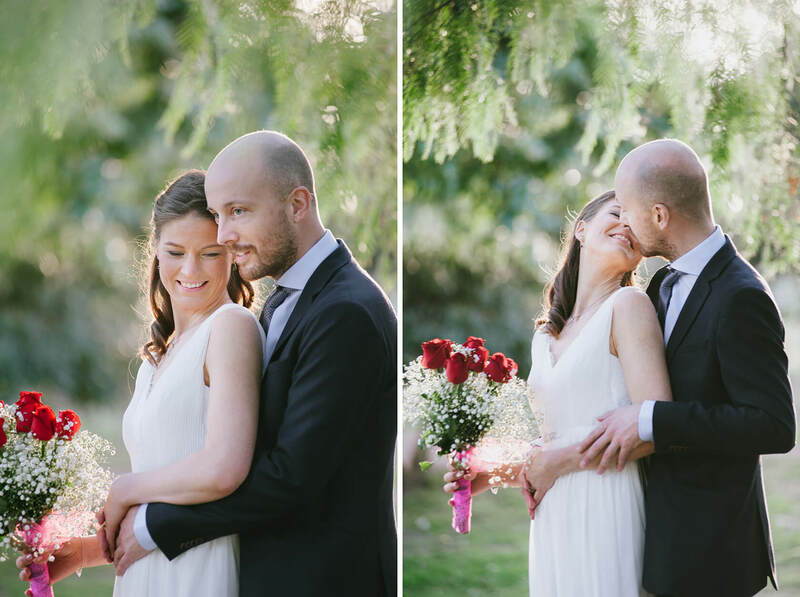 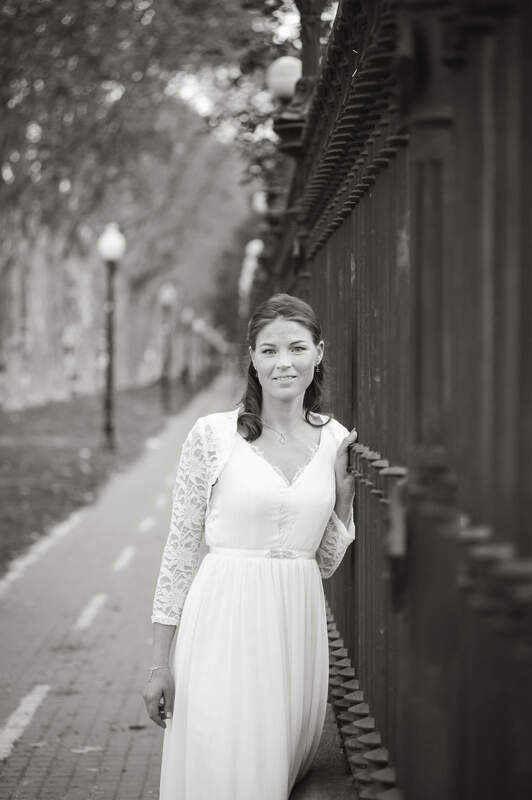 As wedding photographers, there’s nothing we cherish more than good light. 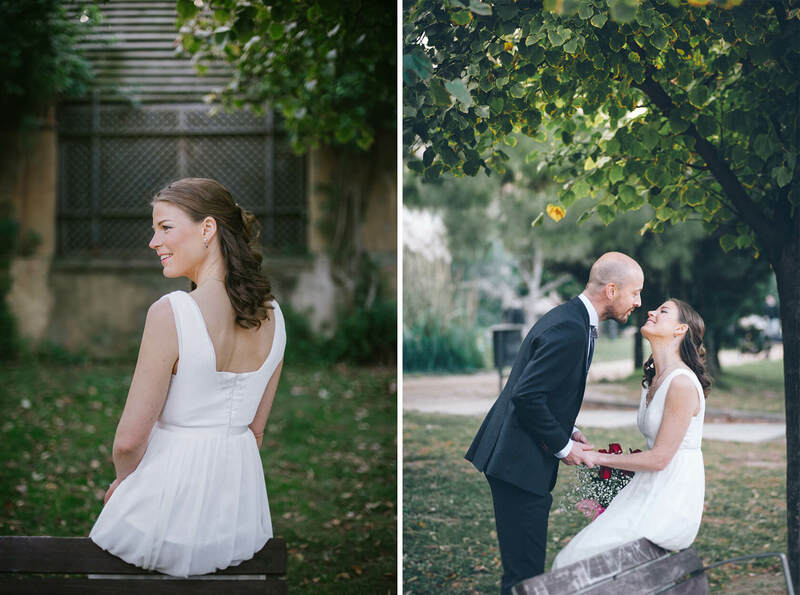 The low autumn sun was perfect for this intimate wedding photoshoot. 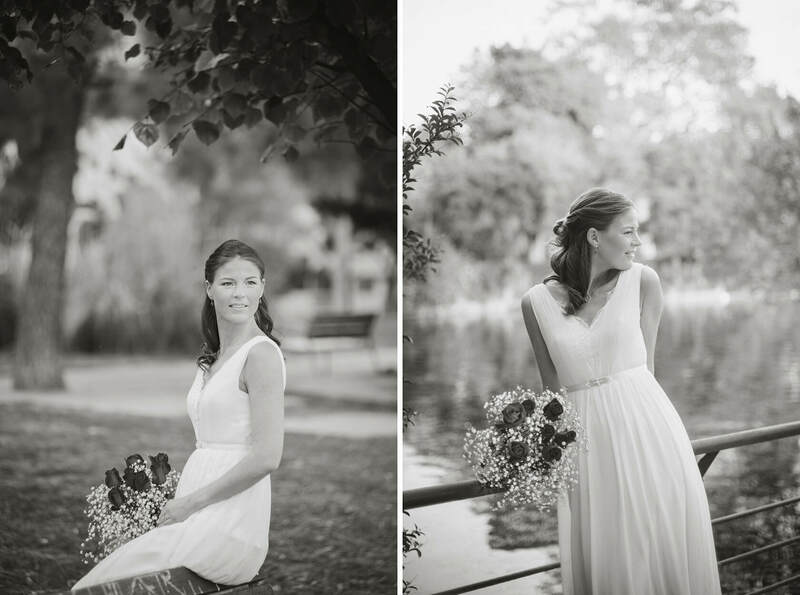 The park wasn’t as busy as it usually is, which added to the relaxed feel of the photo session. 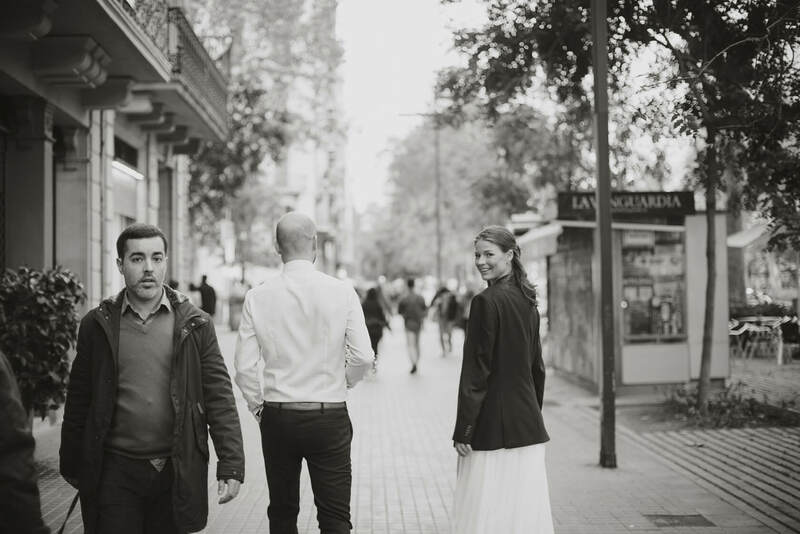 It was all carried out in our usual candid and spontaneous style. 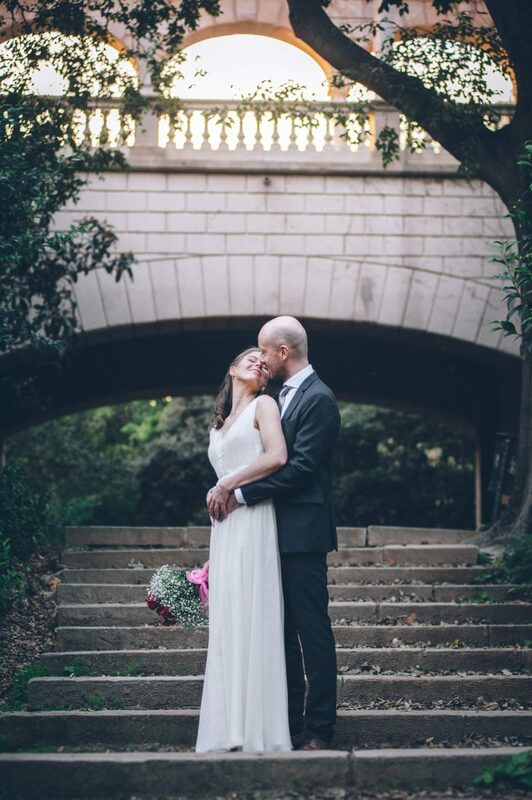 The ceremony was as intimate as one could imagine. 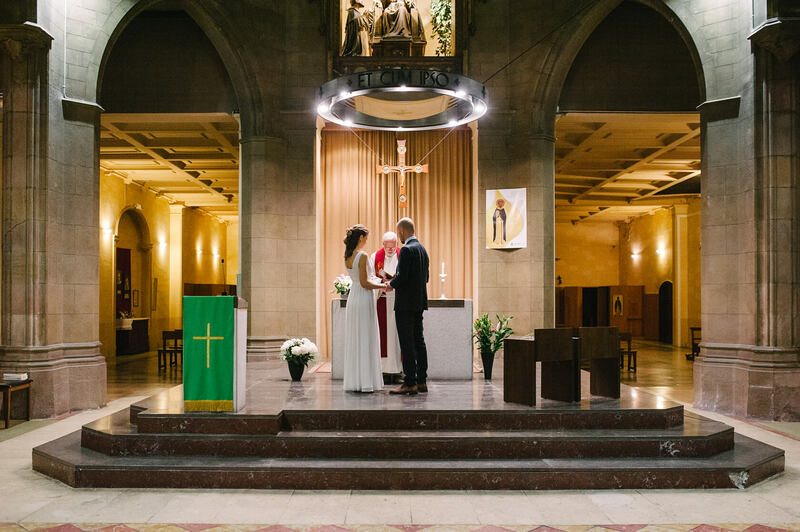 Why was this a special wedding? 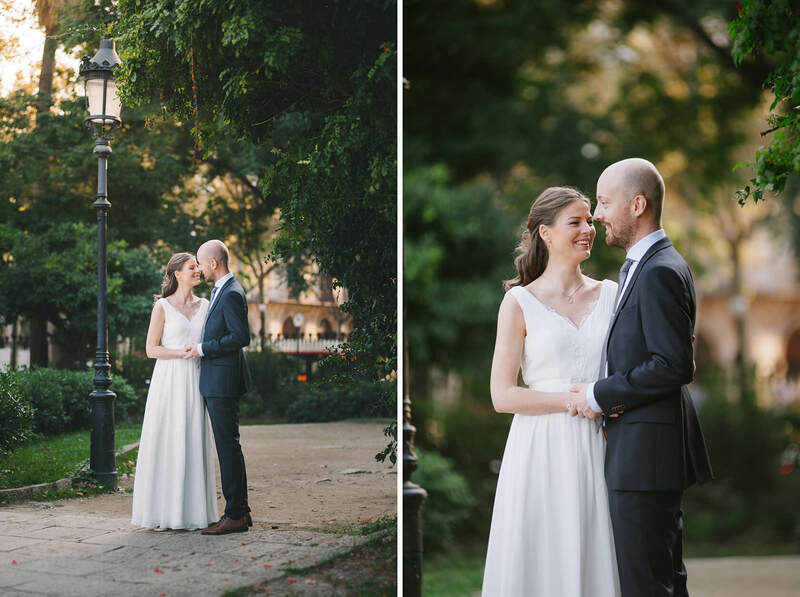 No member of the family knew they were flying to Barcelona to get married! 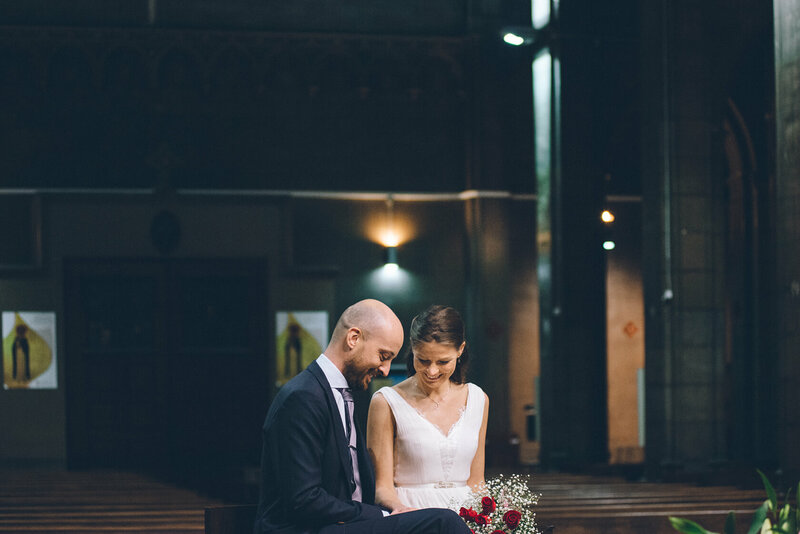 So it was only bride and groom, the wedding photographer and the priest. 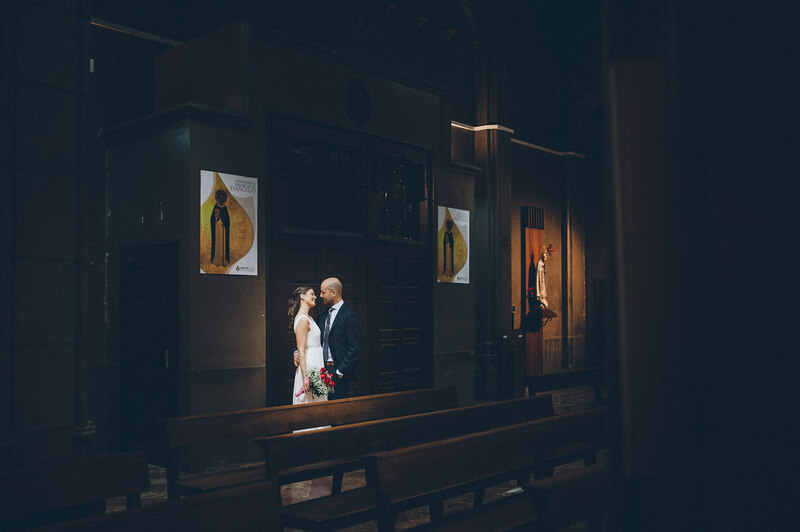 After the ceremony we parted ways but this lovely couple will always stay in our hearts. 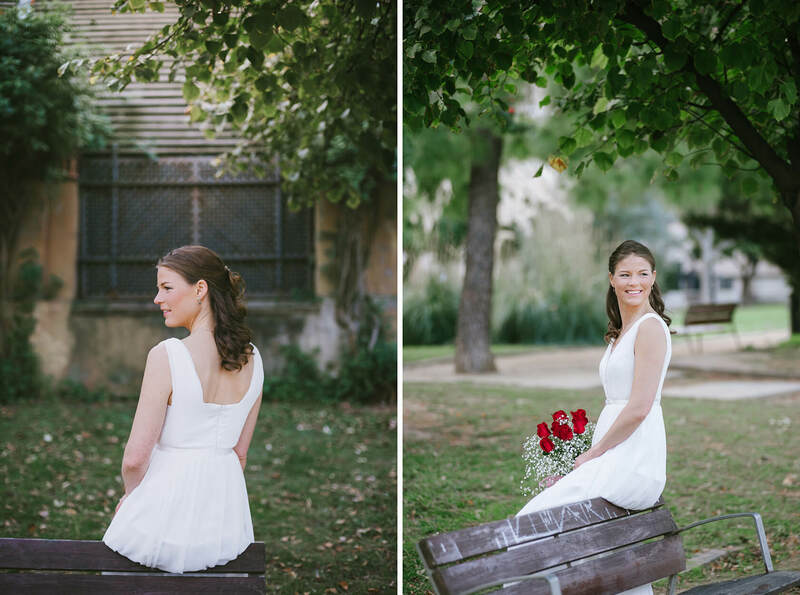 For some reason we keep going back to this wedding portfolio. 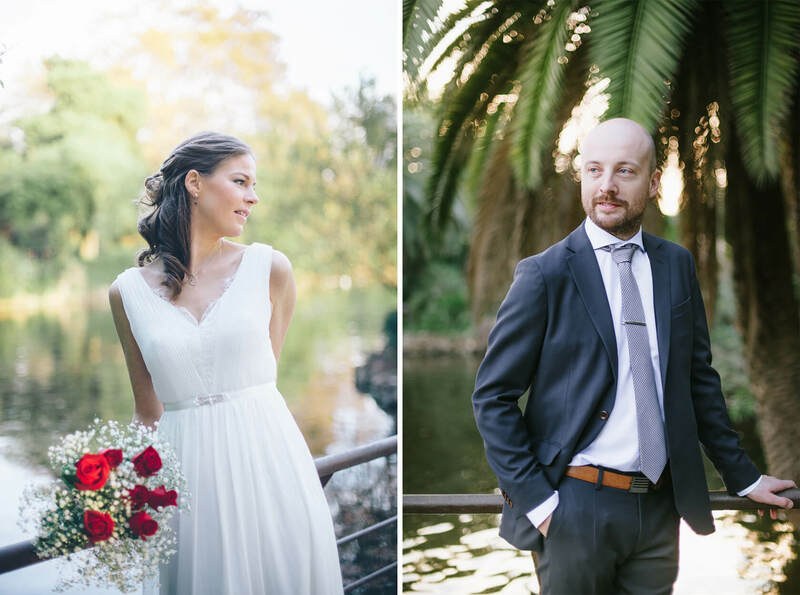 The light, the autumn leaves, the elegant bride and groom… We are very proud of this Boda express package session.